Chain & Drives supply the full range of Rexnord Omega Elastomeric Couplings. 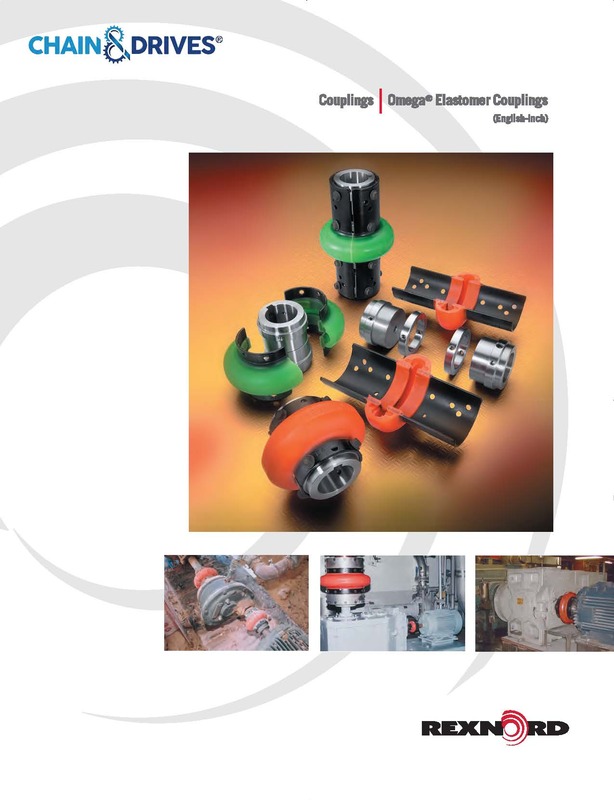 Rexnord Omega Elastomeric Couplings are non-lubricated, material-flexing couplings, which are used in a variety of applications in many industries. They have excellent vibration dampening capability and high-misalignment capacity, providing extended life to connected equipment. 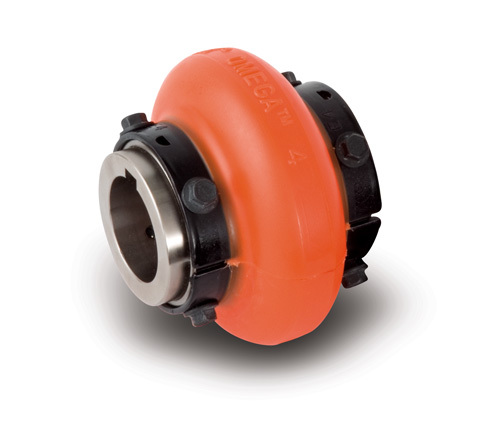 This coupling offers easy installation and a wide range of shaft gaps. Unlike the rubber Raptor coupling, Rexnord Omega is polyurethane which provides superior resistance against solvents, oils, sunlight, ozone and oxidation. Weight matching half elements is important for optimum coupling balance and equipment life. Rexnord Omega element halves up to size 30 are weight matched to within 0.9 gram. The measured variation of Raptor element halves in the same size range was up to 10 grams. Damping is critical to extending equipment life by protecting it from the damaging effects of vibrational, thermal and electrical energy. Rexnord Omega polyurethane flexible element is a superior damping material compared to the rubber-based Raptor coupling. Rexnord Omega has 2X the tensile strength of the Raptor.